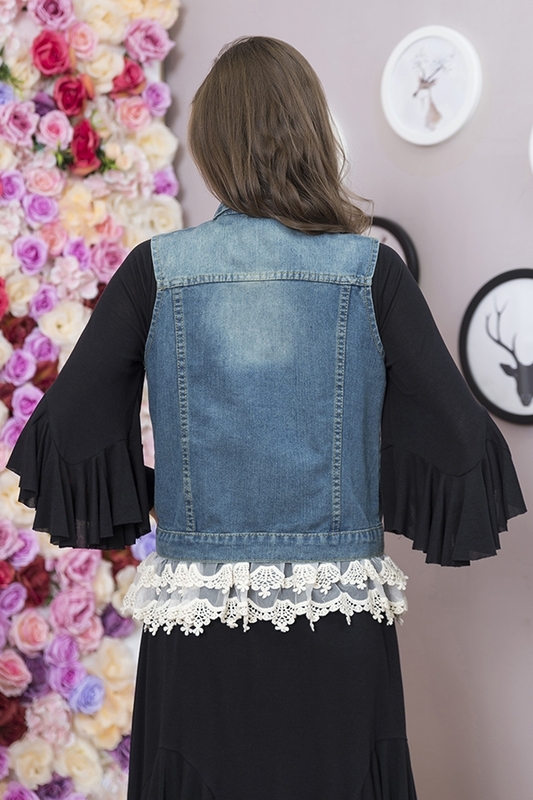 You'll turn heads in this spectacular denim vest! Our newest version is re-worked with the sweetest lace trim on the bottom hem, so pretty! Accent your wardrobe pieces or wear with one of our lace tunics for a romantic, country, or bohemian look.